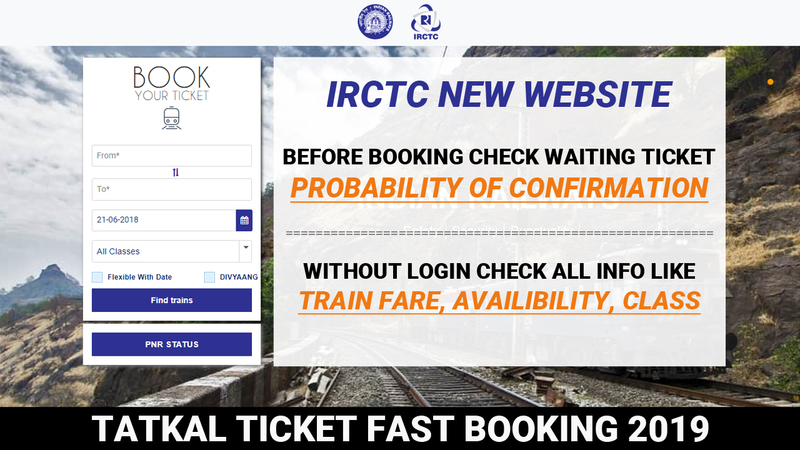 Book Confirm Tatkal Ticket fast On IRCTC 2019 - Web Technical Tips - Full Information About Internet ! You all know very well Indian Railway all time full with passengers. All 12 month get a huge rush of passengers in all zone. Sometimes it crosses all records. As per this Situation our government reserve some ticket for an urgent need in all trains which called with the name of Tatkal Seva. With the help of Tatkal Seva passengers book their destination train one day before of journey with the given timetable. But it's Not easy to book Confirm Tatkal Ticket online. You have to know Some Tips & Tricks before Booking Tatkal Ticket. 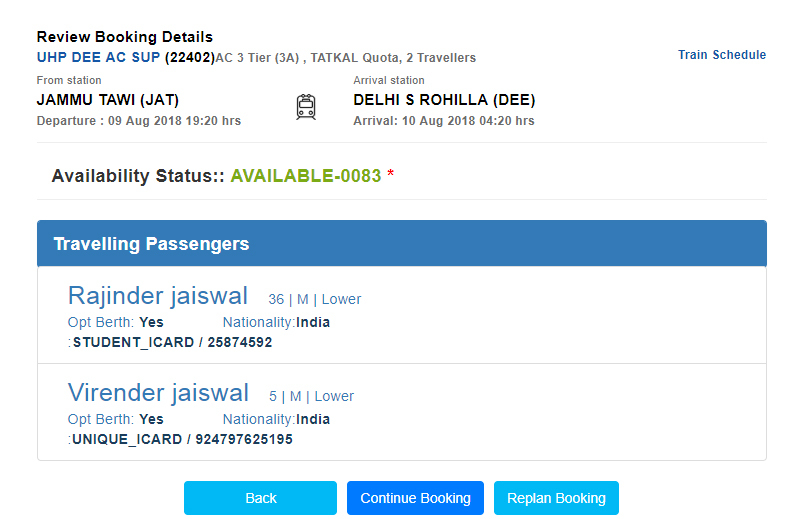 In this Post, I am trying to show you How to Book Tatkal Ticket Fast in IRCTC Website. so Let's start From Beginning. For Confirm Tatkal Ticket Booking, You have to follow some steps. Step 1 Just go to google and type IRCTC then click search. 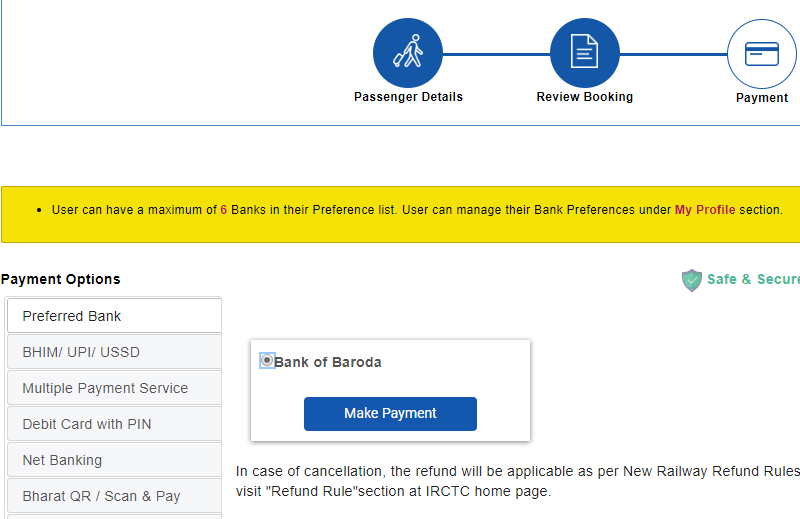 The first result showing here IRCTC Website, just click on them. 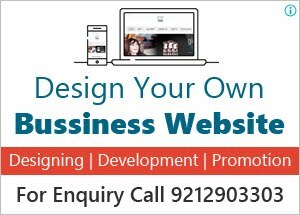 Now your IRCTC website open. Now Click on Login, enter your login details. If you don't have any IRCTC account then create it first. 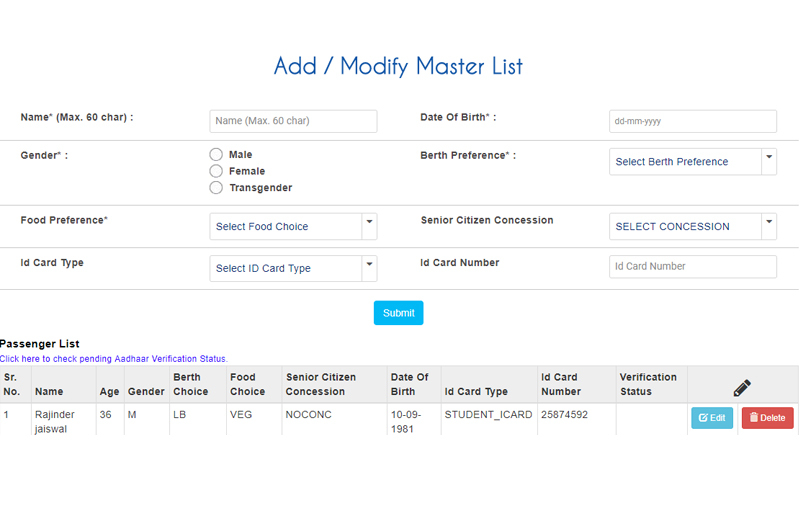 After login just Mouse hover on My account navigation, then my profile and then click on add modifier master list. 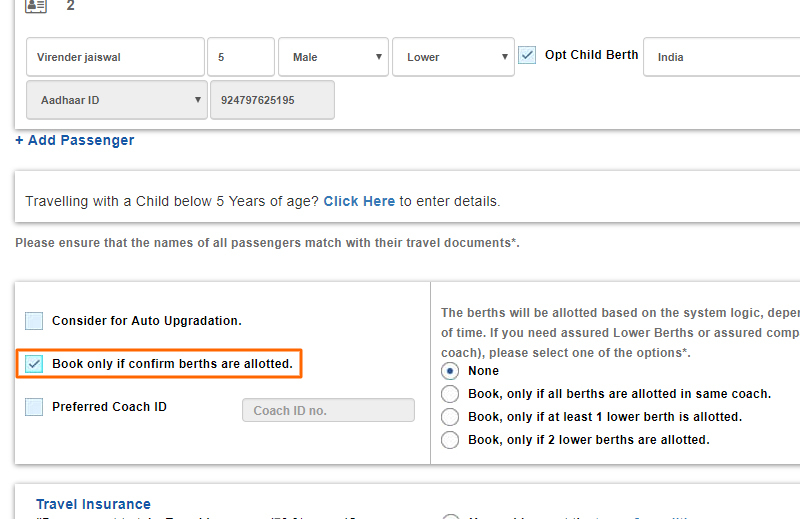 Step 2 Now here you just enter your passenger details, who want to book Confirm tatkal ticket. Now here you create a passenger list. You can also edit your passenger detail after creation. Step 3 Once you did all passenger details then again mouse hover on My Account navigation, then my profile and now click on preferred Bank List. Now here you select your bank from where you want to pay your ticket amount. 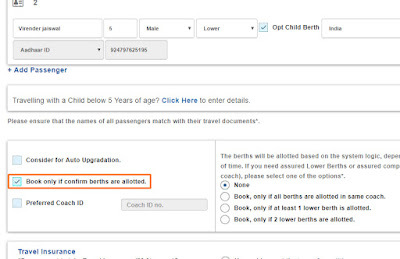 Remember Step 2 & Step 3 is only for time-saving, it increases the possibility of confirming Tatkal Ticket Booking. Both steps must Complete before Booking Tatkal Ticket. 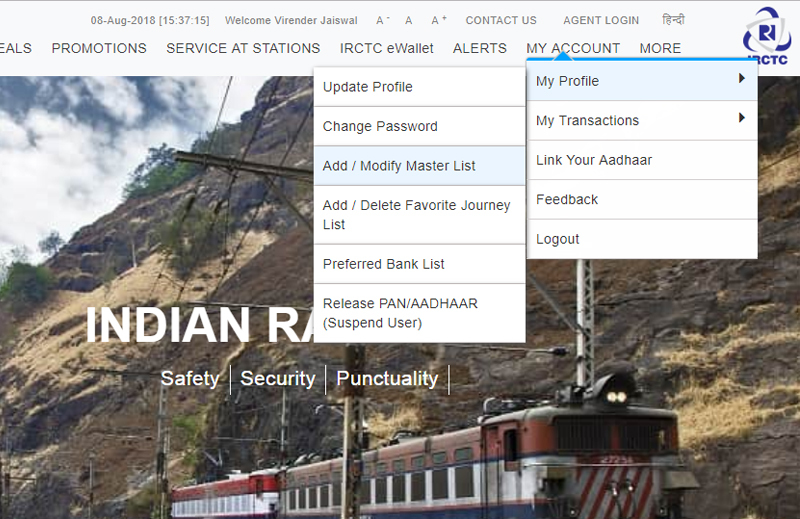 Step 4 Just open your Browser and login Your IRCTC Account Before 5 Minutes of Tatkal Timing. Now it's time to Book Your Confirm Tatkal Ticket. Don't waste extra time to choose your train, you have to prepare for that earlier before tatkal booking. 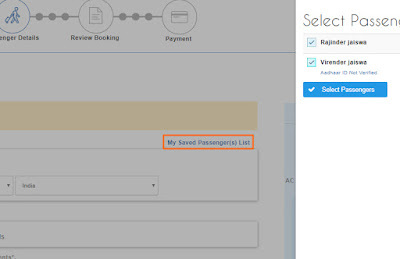 After Book Now you redirect to Passenger list page, Now your Step2 & 3 Works here. which I told you earlier. Now click on my saved Passenger List. Select passenger, you save in your list. Scroll Down Now Click on "Book Only if Confirm berths are allotted" then scroll down and enter your phone number and fill Captcha. Now Click on Continue Booking. 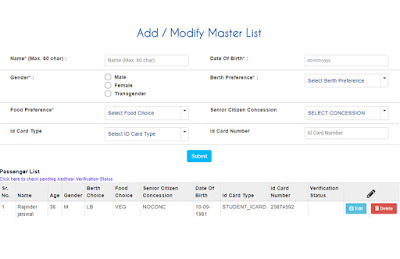 Step 5 Now review your all details, all information corrected or not. if not then go back and if all right then instant click on Continue Booking. Step 6 Now you redirect to the payment page and Now select your preferred bank. Which we made earlier, so don't waste time to select any option just click on it and pay your tatkal Ticket amount. After Confirmation of your payment your Confirm Tatkal Ticket is Booked and all Journey Detail Send you By Email or Masg. Tatkal Ticket Booking Timing: It can be booked on an opening day from 10:00 hrs for AC class (2A/3A/CC/EC/3E) and at 11:00 hrs for Non- AC class(SL/FC/2S). e .g. if the train is to depart from originating station on 10th August, Tatkal Booking for AC class will Commence at 10:00 AM and for Non AC class will Commence at 11:00 AM on 9th August. 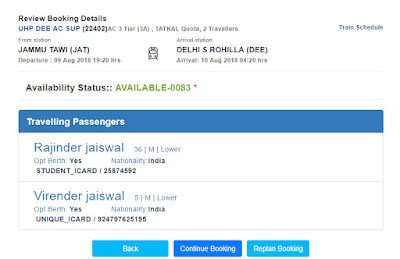 How may Tickets be Book in Tatkal Timing: Individuals are allowed only Two tickets per user-ID in a day for Tatkal booking from 10:00 am to 12:00 noon. Now Ready to book Your Tatkal Ticket as per your Choice AC/Non AC. 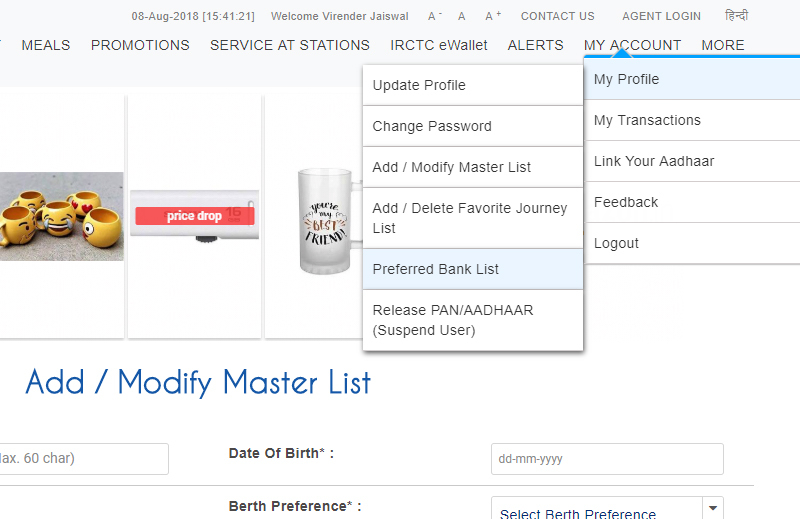 Try these tips and tricks to Book Your Confirm Tatkal Ticket, It Definitely works for you and you get your Train Ticket on time. I hope you Enjoy this Article. If you have any Doubet related to Confirm Tatkal Ticket Booking or any suggestion related to Tatkal Ticket Reservation then Comment on Below Box. Thanks For your Time Have a Nice Day! !